A moving, exciting, and heartfelt American saga inspired by the author's own family memoirs, these words belong to Sarah Prine, a woman of spirit and fire who forges a full and remarkable existence in a harsh, unfamiliar frontier. Scrupulously recording her steps down the path Providence has set her upon -- from child to determined young adult to loving mother -- she shares the turbulent events, both joyous and tragic, that molded her and recalls the enduring love with cavalry officer Captain Jack Elliot that gave her strength and purpose. I found These is My Words at my local used bookstore about a year or so ago and purchased it on a whim because it had great ratings on Goodreads. I stuck it on my shelf with the intention of reading at some point, but I wasn't really in a rush. It came to my attention again when I read Nicole Castroman's Her Story: Ladies in Literature post, and I decided to move it up my TBR. I loved what she wrote, and I was craving more western fiction after finishing a re-read of The Little House series. I took it with me on vacation and hoped for the best. 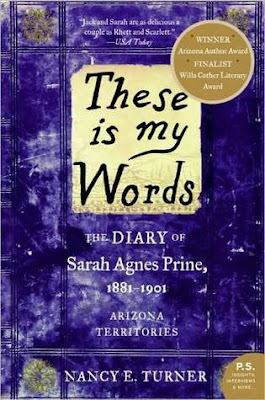 Inspired by her family's own memoirs, author Nancy Turner introduces readers to Sarah Agnes Prine. She's a heroine I won't soon forget - a tough, spirited survivor who records her life on the frontier in her journal. The book opens at the start of her family's journey west, and she captured my attention from her first entry. I knew I was in for an adventure with Sarah, and she certainly didn't disappoint. She suffers tragic loss and painful hardships but maintains this incredible strength and fire throughout it all. DO YOU SEE WHAT I MEAN? The author has nailed this character's voice. Sarah is blunt and direct, but also thoughtful and kind. She worked her way into my heart, and I couldn't bear to reach the end of her story. There were so many moments when I caught myself laughing at a scene she described, moved by the emotion she expressed or falling in love with the people she met. 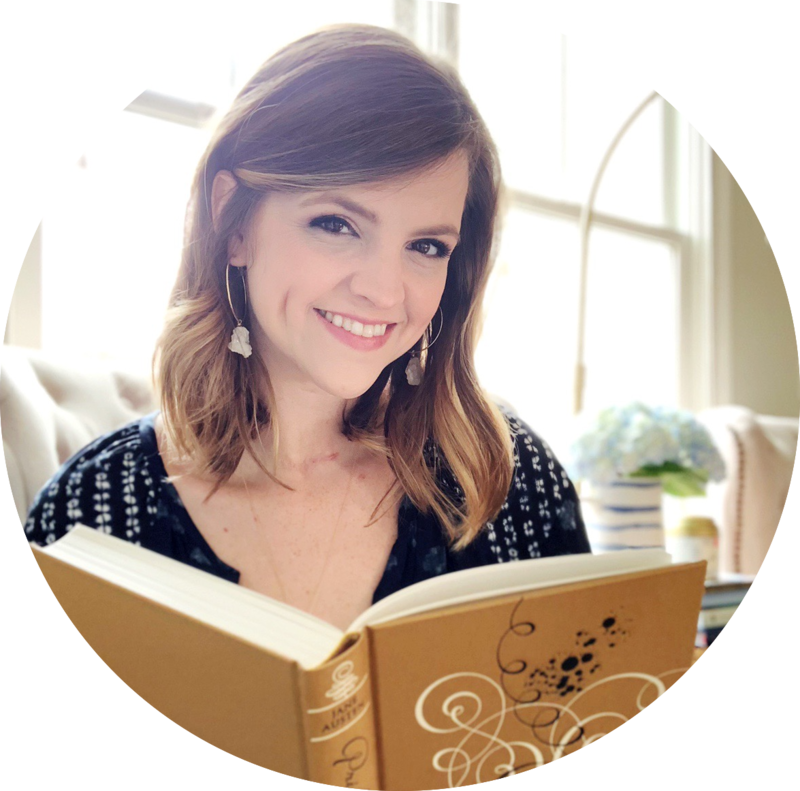 She's got gumption, as they say, and you'll see it in every page. I loved a lot of elements in this book, but none as much as it's heroine. I've always been fascinated by American history, a by-product of my love for the Dear America and American Girls series, and These is My Words reminded me of why. For being a young country, there's still some fascinating (and heartbreaking) aspects of our story. I felt like I was learning and experiencing so much while reading this book. I could imagine myself on the frontier with Sarah - feeling every fear and joy as she fought against the harsh world around her. The setting truly comes to life in this book! As an adult, it was lovely to have the feeling of being transported to this time and place. It brought back so many memories of my childhood obsession with the Little House series. If you loved those, you must read these is My Words. But there's one final element that sealed the deal for me: the romance. I can't tell you the last time I read a love story this wonderful. There's a slow burn here, in the very best way. Dashing cavalry officer Captain Jack Elliott is the perfect match for this heroine! They're both incredible characters on their own, but there's something truly magical about them together. They're both flawed and don't always get everything right, but they felt real. I could tell you about the scenes I've re-read over and over since finishing or the moments I can't get out of my head, but I want you to discover it for yourself. If you want an epic love story, you'll find one here. I don't think my words can do this book justice, but trust me when I tell you to read this book. It's a new all-time favorite for me - one I see myself revisiting for years to come. This book is a shining example of why I love historical fiction and character-driven books, and I can't recommend it enough! This book sounds perfect for me!! I love that you mentioned Dear America and the American Girl series, since I loved those too as a kid (and of course LIW). Have you read Hattie Big Sky by Kirby Larson? I think you would like it! 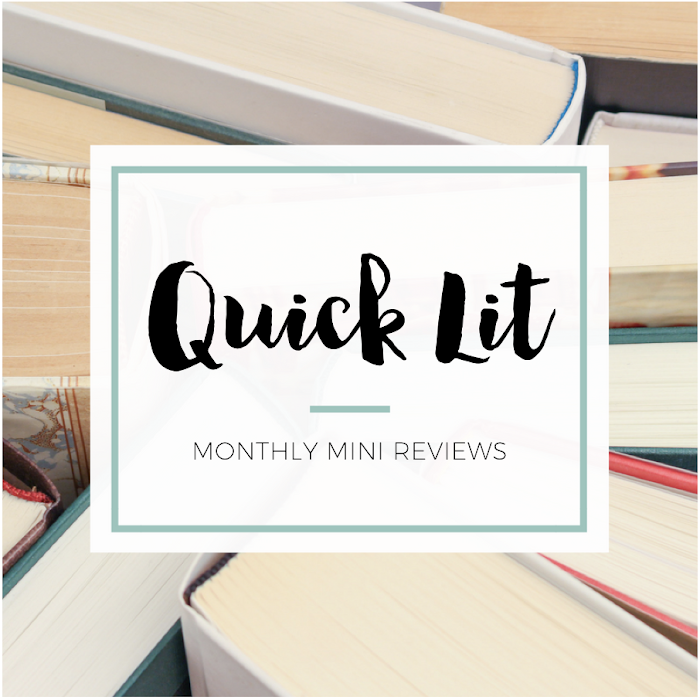 I swear, Hannah, you have the magical ability to make me add books to my TBR! I seriously want to read These is My Words after reading all you have to say about it - the main character, the story, the romance. It definitely sounds like a story that's right up my alley!